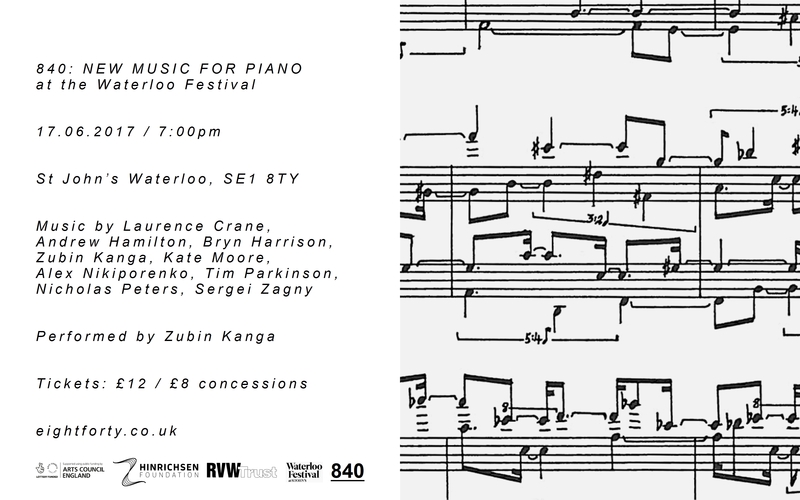 840 collaborated with the Waterloo Festival, presenting a programme of piano music performed by the Australian pianist, Zubin Kanga. The concert featured music by six UK-based composers – Laurence Crane, Andrew Hamilton, Bryn Harrison, Alex Nikiporenko, Tim Parkinson and Nicholas Peters, alongside works by Kate Moore (Australia), Sergei Zagny (Russia) and Zubin Kanga. 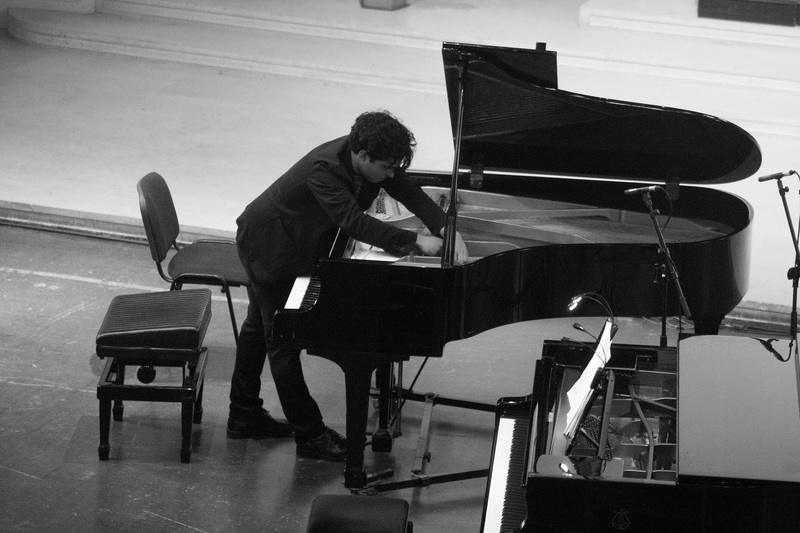 Zubin Kanga is a renowned pianist who has collaborated with composers such as George Benjamin, Michael Finnssy and Steve Reich and has commissioned more than 80 new works. He has performed at the BBC Proms, London Contemporary Music Festival, Melbourne Festival (Australia), Borealis Festival (Norway) and many others. The concert was kindly supported by the Arts Council England, Hinrichsen Foundation and the RVW Trust. The concert was recorded and broadcast in BBC Radio 3’s Hear and Now.